How to Defend Yourself Without Even Trying is a book about applying the mental/spiritual principles of Aikido to daily life. It incorporates Dr. Terry Chitwood’s personal experiences of using Aikido principles in real-life situations. It is philosophically and spiritually oriented and was highly acclaimed in its print edition. After receiving such a favorable response to his book How To Defend Yourself Without Even Trying, Dr. Chitwood thought his readers would like another book written in a similar vein. People who enjoyed How to Defend Yourself Without Even Trying should like Meeting Force With Silence as well. Meeting Force With Silence discusses non-violent self-defense principles, aikido, and spiritual philosophy. Real-life personal experiences show the applications of these principles. Death: The Beginning of Life is a book about dying – old beliefs, old attitudes, old yous. Parts of my ego died while writing this book. And, parts of your ego may die while reading it. 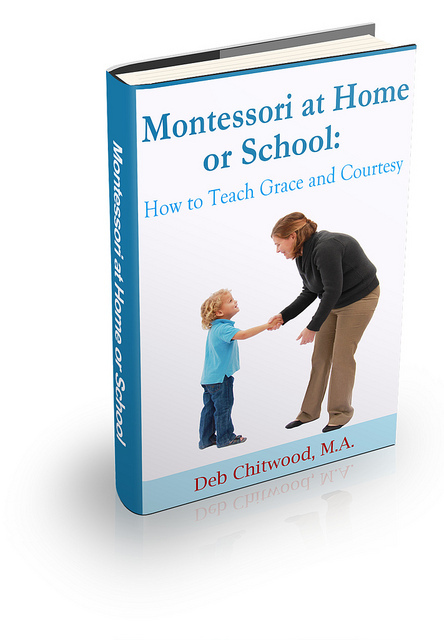 Montessori at Home or School: How to Teach Grace and Courtesy is a bit like Montessori meets Miss Manners. It’s designed to help both parents and teachers feel comfortable teaching manners to children ages 2-12. Read more about the book at Living Montessori Now.